ale, lager, stout, porter, mild, barley wine – the list is almost endless! One week after winning Wine of the Year for its Bacchus Reserve 2010, Chapel Down Winery has won another major award – for beer this time! 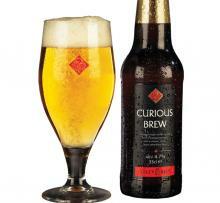 Curious Brew Lager has picked up Gold in the International Beer Challenge, one of only 30 brews to do so. 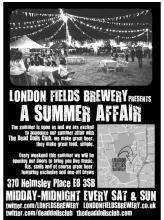 Hurtling towards its first birthday, Hackney's London Fields Brewery is holding Open House in the Summer every weekend. From midday to midnight, its very own pop-up bar, The Brewhouse is home to a meeting of minds, with food from The Dead Dolls Club, local food providers of note, and beers from LFB. Plus there's DJ's and more stalls to make it more of a fiesta. This week we’re going to see a fledgling Northern Irish craft brewer on the telly. 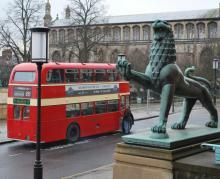 Yes, you read that right – Northern Irish. Nick Hewer – one of Lord Sugar’s incisive advisers on The Apprentice and Countdown's new host – has turned business guru and headed to the land of his schooling to help a clutch of farmers make their businesses viable in the BBC's new show Farm Fixer. Our hero, Gordon Fallis, has been brewing for a while from his small family farm just outside the village of Derrygonnelly on the shores of Lower Lough Erne in County Fermanagh. Following his visit, Nick swiftly becomes convinced that Gordon's Inishmacsaint Fermanagh Beer should spread its wings beyond the kitchen table. Hence several months later we meet them both on St Patrick’s Day in The Porterhouse bar in Covent Garden for the UK debut of his tasty brew. From a wee Edinburgh brewing company, this is a traditional Scottish ale, brewed with an eye to older styles of beer rather than the currently trendy hop monsters. Knops use four different malts in brewing Musselburgh Broke, which is named for the racecourse at Musselburgh, just east of Edinburgh. 33cl/4.5%, £2.10 from Edinburgh branches of Oddbins; see brewery site for further stockists. 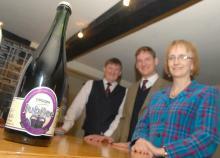 A special cask of Wadworth's commemorative ale, the Queen's Jubilee Ale, has been brewed for Wadworth's Jubilee Beer Festival, taking place this Saturday. The original bottling has all but sold out, so take advantage of this chance to try this spicy, fruity brew, as well as other Wadworth regulars, guest beers and a selection of ciders. With live bands and food stalls - plus a marquee just in case the heavens do open - the centre of Devizes looks set to be a jolly place. Smart and celebratory – and hand-labelled by the brewers and their team – Chiltern’s Jubilee Sparkling Ale is amber in colour, with tropical banana notes on the nose, plenty of apricot and peaches, and a pleasant earthy finish. In a limited edition of 1000 bottles, serve lightly chilled in either champagne flutes or wine glasses. Sparks might fly as shadow Pubs Minister Toby Perkins (Lab) takes on local MPs Chloe Smith (Economic Secretary to the Treasury, Con) and Simon Wright (Lib Dem). BBC East's David Whiteley takes the umpire's for the evening. This is your chance to join in what is likely to be a heated debate covering good beer, community and the survival of pubs. Perfect start to the evening, after which you can either sample some of the ales at the venue, the Festival hub, St Gregory's Centre for the Arts, or venture to one of the other City Centre pubs. Chris Higgins is a man with two hats. Not only landlord at the popular Trafford Arms, the pub everyone would love to have at the end of their street, he's also Sheriff of Norwich. Spend an hour in his company and hear about his career serving the good people of Norwich, then make a trip to his popular pub. Choose between lively front bars with his historical bottle collection at one end, or the white walled, leather sofa-ed snug. Really part of the community, Chris makes a point of supporting charities close to his customers' hearts. This year it's Downs Syndrome. We wish him well. Join Ribs of Beef's genial hosts Roger and Anthea Cawdron for an evening of traditional pub games at their riverside hostelry. This historic building sits by one of the earliest bridges crossing the Wensum and had been an inn for over 200 years before being delicensed in the 1950s.